Schedule a free live web demo. FlowTrac is a fully configurable Warehouse Management System (WMS) that can provide your business with a way to manage and track any kind of inventory or assets in a single, complete system. Utilizing advanced features and a zero footprint browser based program, FlowTrac provides a new level of control to your business’ inventory and assets. 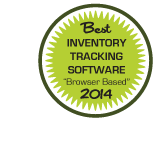 With this software, you can manage inventory levels, check inventory stock, and re-order when inventory is low from any iOS or Android mobile device, as well as any desktop, laptop, or tablet. If it has Chrome, Firefox, or Safari, it can access FlowTrac. FlowTrac’s warehouse management system brings a unique set of features to meet your inventory needs. Flexibility and customization make FlowTrac’s inventory software a better fit for small and medium sized businesses, giving them the customization and functionality of enterprise inventory software while keeping costs low and ROI short. FlowTrac provides every buyer with a dedicated account manager who specializes in programming the FlowTrac warehouse management software. They will help you transfer information from your old inventory tracking software, and also provide advice on best practices, setup, and customization options for your software. Finally, they will continue to work with you in the future, guaranteeing that your business will get all the features it needs to succeed. With FlowTrac, you can manage your inventory and assets without being forced to conform to an inflexible, out-of-the-box solution. Our expert consultants will work with you and the programmers to design the perfect inventory tracking software to fit the needs of your growing businesses in the retail, warehousing, and logistics fields. FlowTrac allows you to only use and add the features that are most critical to your individual needs. It adapts to you and your business, giving you the flexibility to streamline your processes and allow the software to grow with you.